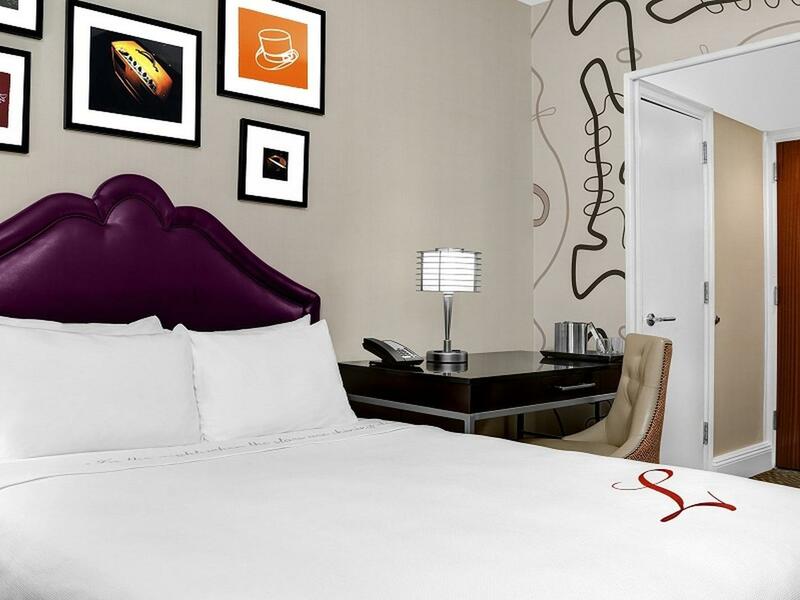 The Lexington Hotel, Autograph Collection offers guests unique, stylish, upscale accommodations. 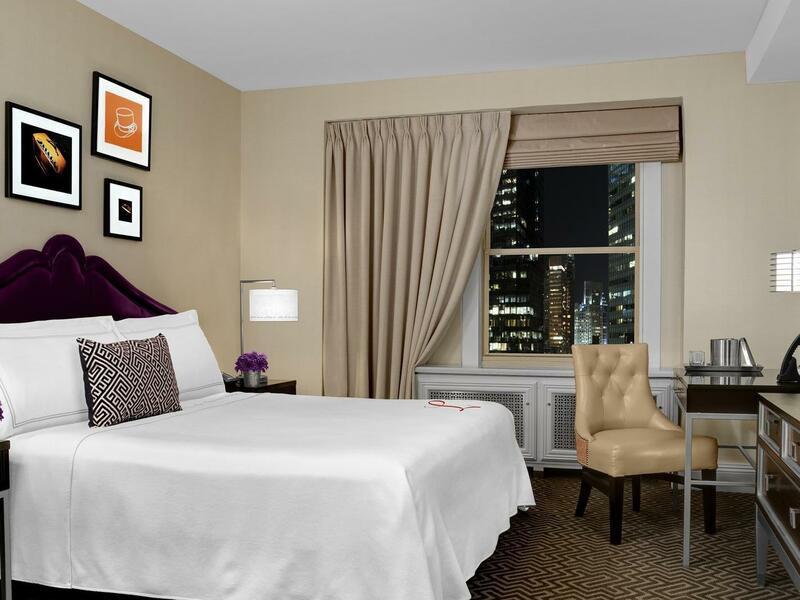 Here, you’ll find the perfect place to unwind in a trendy Midtown East Manhattan NYC location with guest rooms and suites that offer a blend of unexpected sophistication and comfort, featuring bespoke accents and Jazz-inspired ambiance. Travel connoisseurs, history buffs and culture lovers alike will find an experience unlike any other at our exceptional hotel. These chic, well-designed spaces sleep up to two guests and average 150 square feet. Rest easy on a full-size Sealy® Encore Ultra Plush bed surrounded by Jazz-Age inspired décor. Starting at 180 square feet, these rooms offer additional space to spread out for up to two guests. 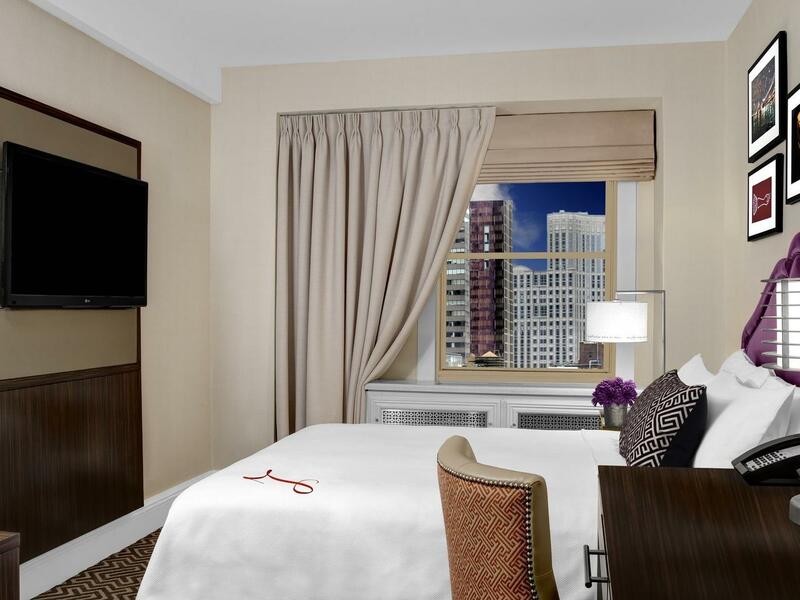 Sleep tight on a Queen-size Sealy® Encore Ultra Plush bed surrounded by décor inspired by the Jazz Age. 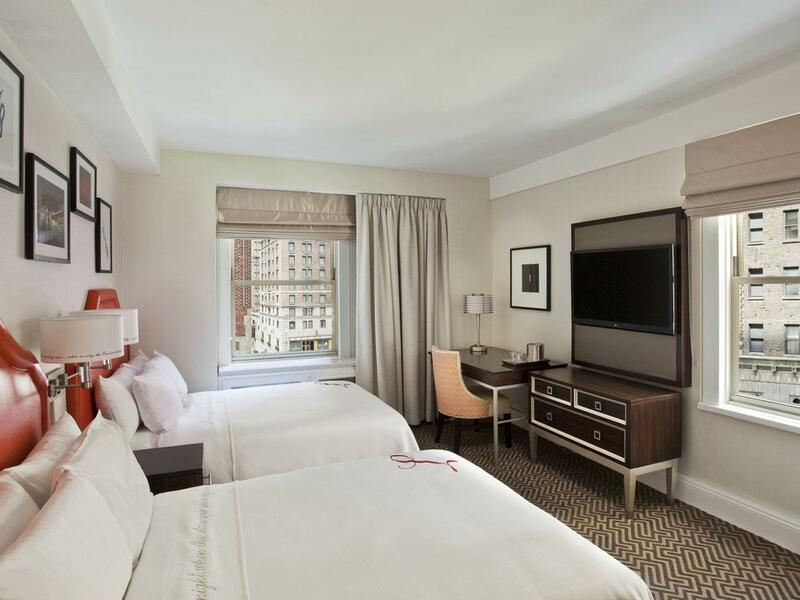 Stretch out and unwind with a King-size Sealy® Encore Ultra Plush bed in our newly renovated King Rooms boasting beautiful Art Deco décor, luxurious bath amenities and spacious desk areas suitable for work or dining. 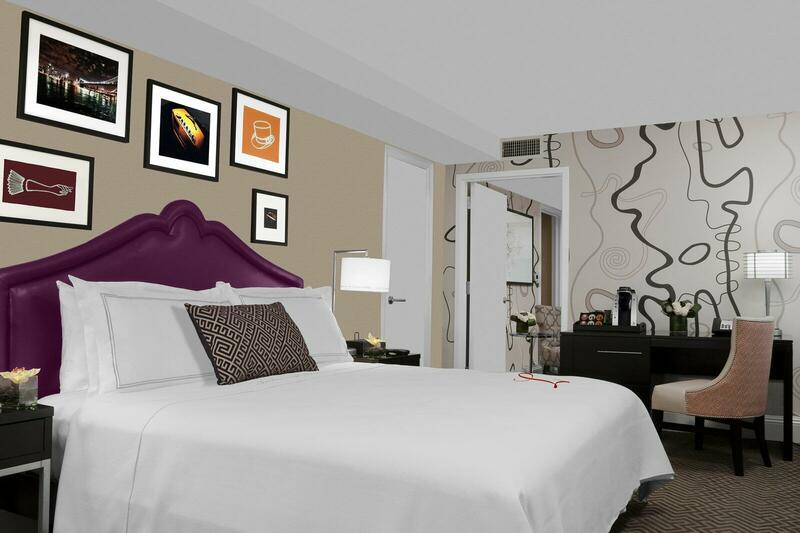 With 300 square feet of space, these rooms feature two full-size Sealy® Encore Ultra Plush beds. 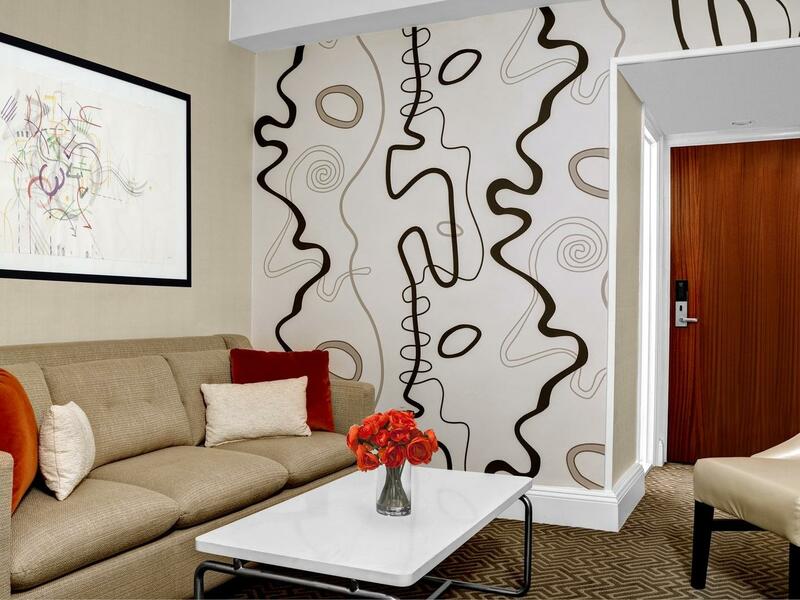 You’ll find yourself nestled in a modern haven of art-filled décor evoking the Jazz Age. Averaging 440 square feet, these upscale spaces offer a large bedroom and separate sitting room with pullout sofa to sleep family members and friends. 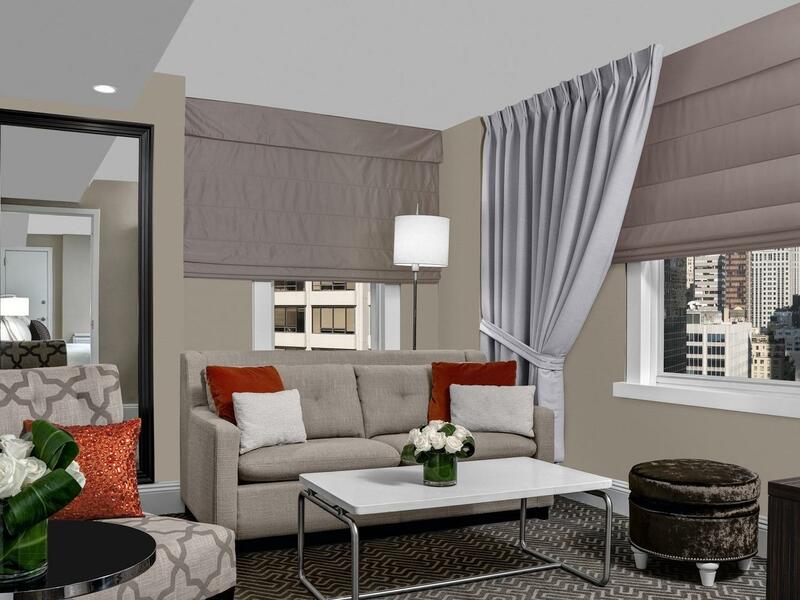 Our One-Bedroom Suites offer contemporary style and glamour.